The Angaston Suite – again expansive and contemporary in design – filled with light and opening onto a private BBQ area. 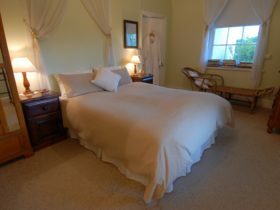 Both suites have kitchens with full oven and dishwasher and slow combustion fires. 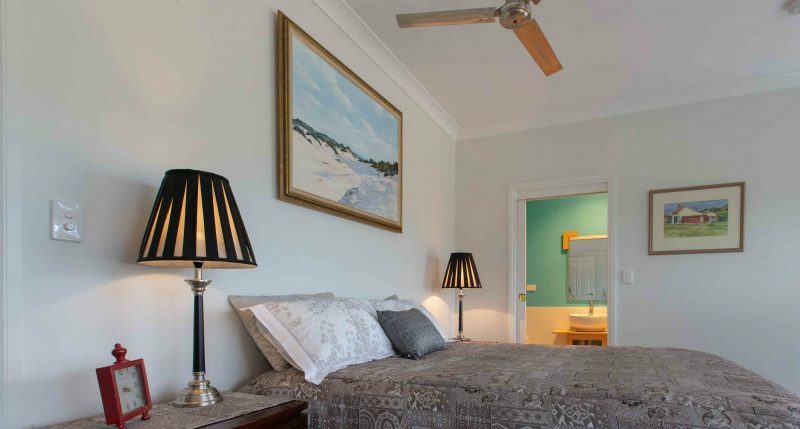 The Balcony Suite has three well sized bedrooms, its own living rooms upstairs and down, with open fire and a dining table seating 10-12 and a large main bathroom with separate shower upstairs. All suites have their own entrance and are air conditioned. 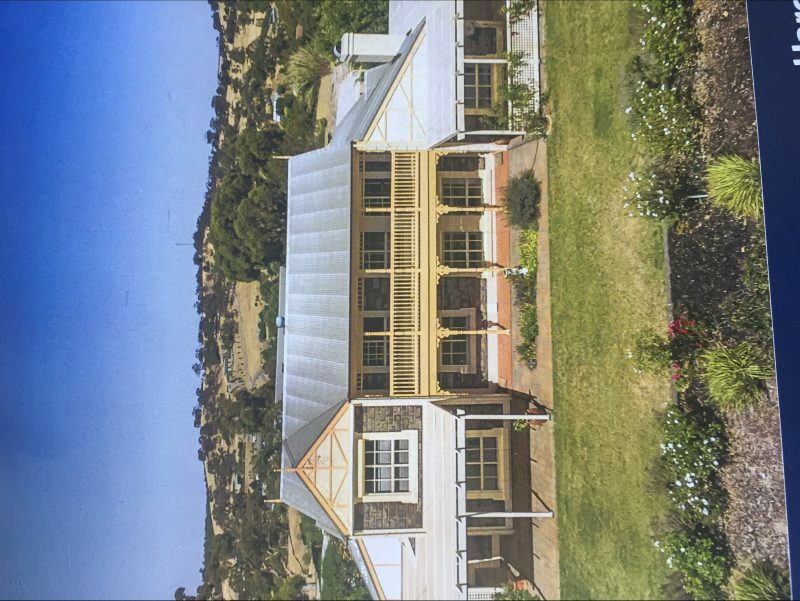 As you reach the top of the winding driveway of this seven acre property you will be amazed at how high up you are whilst being only two minutes from the charming township of Angaston – an easy walk to seven restaurants, hotel, cafe’s and take-away’s. 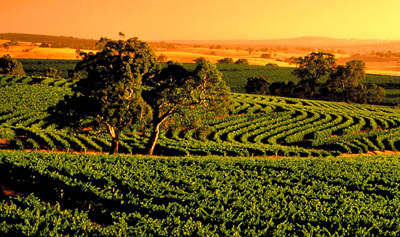 Experience total tranquility at Angaston House an elegant country retreat with breathtaking views over the Barossa. 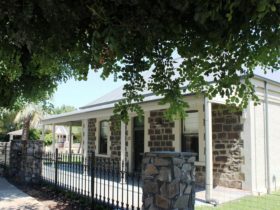 The property can also be booked as Whole of House – sleeping 12. Nightly rate for Balcony Suite is $140 for one bedroom, $210 for two bedrooms and $285 for three bedrooms.